Nantes Airport also known as Nantes Atlantique Airport is an international airport situated 8 km southwest of the city in Bouguenais. This airport is serving Nantes, France. Nantes Airport has one runway and it handles about 2.5 million passengers per year. Nantes Airport consist one passenger terminal. There are number of shops at the airport including a bookshop/newsagent and a duty-free shop for passengers leaving Europe. There is a bakery, a brasserie restaurant, and three bars at the airport. As a part of an international rental broker, we present best car rental at Nantes Airport in affiliation with popular car suppliers. Nested along the mighty Loire River, Nantes has a robust historical heritage. From Anne of Brittany to the famed writer Jules Verne, the city has many monuments showing its splendid past as the 15th century houses, the Dukes Castle or the Cathedral. The Isle of Nantes is a former shipyard which has been turned into a leisure and cultural site including the Machines of the Isle of Nantes permanent exhibition. The maritime city of the West of France is full of surprises and attracted more than 104,200 newcomers in five years. Nantes also has an Opera House and a live music scene. 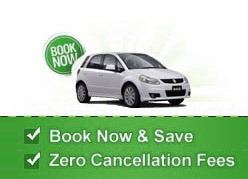 Sightseeing around Nantes Airport can be made easy with a low priced car rental deal. Check our easy to book rental form given above to search for more pick up locations in Nantes.